It was just over a year ago that Tom Cruise insisted a sequel to his classic 1986 exercise in homoeroticism and Val Kilmer’s teeth, Top Gun, was going to begin filming “probably in the next year.” As of today, if you take him as implying the calendar year 2018 and not within a year of the day he said that, then Cruise spoke the truth. The actor posted a tweet early this morning that featured a picture of himself in the iconic flight suit, holding a helmet, with one-half of the original film’s tagline, “Feel the need.” (“For what? !,” America’s non-Top Gun-savvy youth cry out in response. “Affordable health care? We do! We feel it bad!”) The accompanying hashtag “#Day1" all but confirms the sequel is now in production, with Oblivion director Joseph Kosinski at the helm for a reunion with his star. It’s been a long time getting to this point. It feels like we’ve been reporting on the possibility of this movie for the better part of a decade, probably because we have. But after all the false starts—and unfortunate stops, such as the one prompted by the untimely death of original director Tony Scott—there will once more be oiled-up men frolicking in the sun, F-14 Tomcats performing willfully foolish stunts, and the sound of what we can only imagine will be a dancehall remix of “Take My Breath Away” echoing through the Paramount lot. 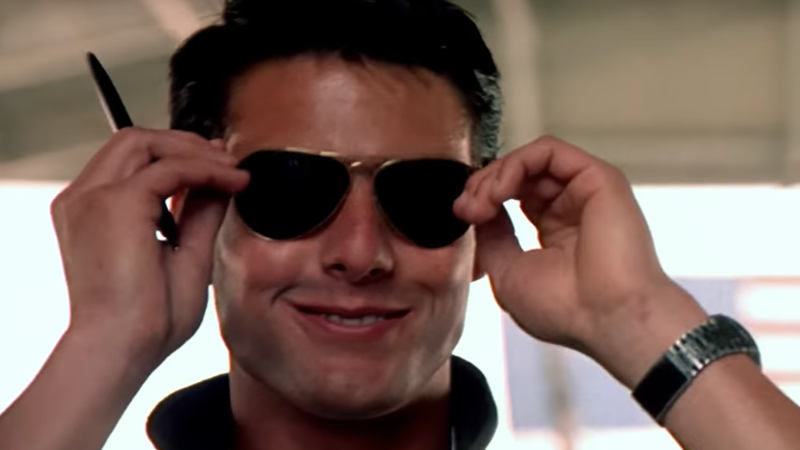 There will probably not, however, be an equivalent jump in Ray-Ban Aviator sunglasses sales as when the first movie came out—Deadline notes shipments of the eyewear jumped 40 percent subsequent to the success of Top Gun.